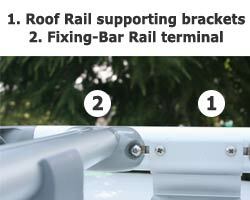 Fiamma Fixing-Bar Rail bar created in aluminium extrusion. Can be easily cut to size from its original 240 cm length. Package includes 2 bars, each with 2 fixing terminals in aluminium pressure die-casting and 2 rubber spacers. 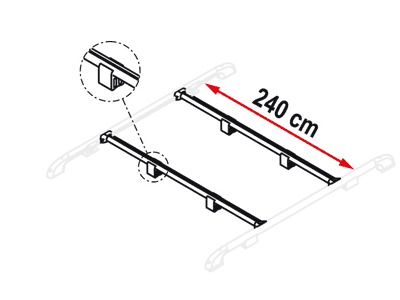 Ends of the bars are available in Grey. 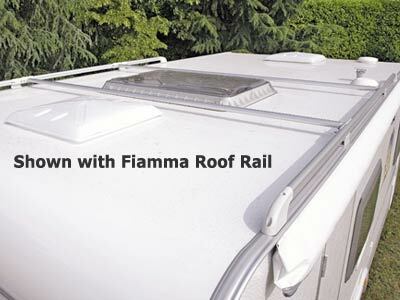 It can be used with Fiamma Roof Rail, Fiamma Roof Rail Pro 3 and Roof Rail Pro 4 without drilling the vehicle, by using the sliding hooks supplied.